Steel Panthers Game - Download and Play Free Version! 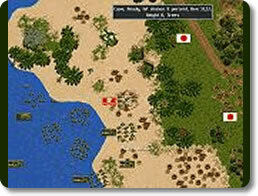 Steel Panthers is a tactical WWII era historical war game. It follows the format of alternating turns ("I go, you go" or IGOUGO). Steel Panthers includes a timed option where each player gets a certain amount of time to make his move before the opponet gets to make their move. 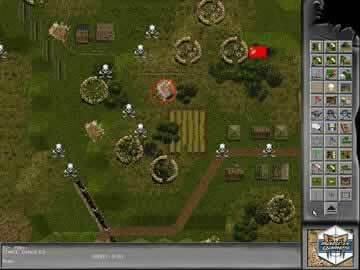 You will find Steel Panthers to be easy to play because of the intuitive nature of the game. There are icons which represent armory, artillery, and mortars. The field is laid out so that each hex is equal to 50 yeards. 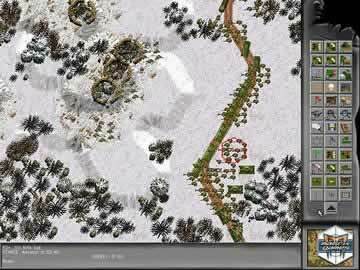 This game is an interesting and easy to play tactical war game! One cool feature of this game is the variety of tanks which can be used. Try the Leopard 2A6, M1A1, Challenger II, Merkava MBT, or a host of other prototypes! Hop in your tank and let yourself engage in Steel Panthers: World at War! Check out the major destruction that is possible with Steel Panthers!